Do you want to sell your house in Fife Washington fast? Then you need to talk to KDS Homebuyers. When trying to sell your house, you may want to act as fast as possible. Some of the reasons why you may want to do this include avoiding bankruptcy, foreclosure, or other financial problems. You may also not want to deal with a realtor or even want to make the process easier. Rather than wait for a buyer to make you an offer and hope that the sale will go through, call a cash home buyer and get an offer almost immediately. 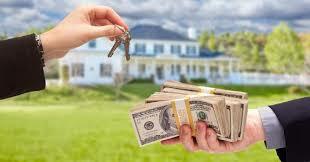 Once you accept the cash offer, you will get money from the sale of your home within days. Clearly, this is the best way to sell your home when facing financial difficulties. When we buy your home in cash, we accept it in its current condition. That means you don’t have to worry about repairs. You also save time that you would spend staging your house. No need to decorate your house or get it in order to get the top dollar. You save time and get the best deal since you won’t spend money on repairs and decorations. Conventional methods of selling a house can have different complications. There are cases where you may be given an offer and accept it only for a buyer to be denied a loan. In some cases, buyers back out in the last minute. That means you have to start accepting fresh offers again. Eventually, the process will take longer than expected. However, when you sell your home to a cash buyer in Fife Washington, you don’t have to be concerned about any of these. That’s because a cash home buyer doesn’t depend on a loan to buy houses. The buyer has cash ready when making an offer. Thus, they can’t back out on the sale in the last minute. When selling a home via traditional methods, you incur many hefty fees that include realtor’s commission that is typically about 6%. However, when you sell a home to KDS Homebuyers, you don’t pay this commission. You also don’t pay for appraisals, closing costs, and holding costs. You also avoid the cost of hiring an inspector and other expenses.